Lung cancer develops when a cell in the lung becomes abnormal and begins to duplicate uncontrollably. These abnormal cells eventually form a mass, or tumor, and can spread to other parts of the body if not treated. Lungs are the breathing organs located in the chest surrounded by a thin, protective membrane called the pleura. Each lung is divided into lobes; the right lung has three lobes, and the left lung has two lobes. Within the lungs are flexible airways called bronchi, which branch out into many smaller airways called bronchioles. The bronchioles lead to small, grape-like clusters of air sacs called alveoli. Oxygen and carbon dioxide pass to and from the alveoli into capillaries and carry blood throughout the body. Squamous Cell Carcinoma- Squamous cell Carcinoma (also called epidermoid carcinoma) begins in the special cells, called epithelial cells, which line the air passages. Thus it may occur within the larger breathing tubes.The most common cause of squamous cell carcinoma is smoking. Adenocarcinoma- Adenocarcinoma usually begins in the mucus-producing cells of the lungs. While it has been linked to smoking, adenocarcinoma is the most common type of lung cancer in non-smokers. Large Cell Carcinoma- Large Cell Carcinoma is responsible for about 10% to 20% of lung cancers. Large cell carcinomas include all lung cancers that cannot be classified as squamous cell carcinomas or adenocarcinomas. Phlegm, or spit, is studied to see if cancer cells from the lungs are present. X-rays use low doses of radiation to create images of the body. This is a special X-ray that uses a computer to create a series of images, or slices, of the inside of the body. This is a test that produces images of the inside of the body using a large magnet, radio waves and a computer. This is a technique to obtain three-dimensional, color images using short-lived radioactive substances. The PET scan can detect cancerous tumors because of their ability to absorb the radioactive material. 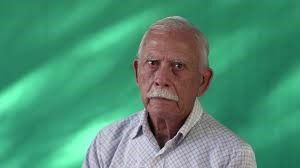 During this test, the doctor looks into the bronchi through a special instrument, called a bronchoscope, that slides down the throat and into the bronchial tubes. The lighted end of the tube allows the doctor to see any abnormal areas. If abnormal tissue is found, the doctor can take cells from the walls of the bronchial tubes or cut small pieces of tissue to look at under the microscope to see if there are any cancer cells. This is called a biopsy. The doctor also may use a needle to remove tissue from a place in the lung that may be hard to reach with the bronchoscope. The needle will be put through the skin, in between the ribs, under the guidance of a CT scan. This is called a needle aspiration biopsy. This is a procedure in which the doctor inserts a lighted tube through a small incision (cut) above the breast bone to view the structures of the center of the chest. The doctor also may look inside your chest cavity. The doctor can examine the chest cavity through a special instrument called a thoracoscope and take tissue samples (biopsies) from the lungs. Standard surgical sampling of the lung may also be required. Stage 4has spread to other parts of the body. The cancer cells can be seen only in one lung, in nearby lymph nodes, or in fluid around the lung known as a pleural effusion. It is clear that the cancer has spread outside the lung, within the chest area or to other parts of the body. The overall staging for NSCLC uses I through IV, with I being the earliest stage and IV being the latest. Evaluation of the tumor, lymph nodes, and metastases are included in the overall stage. Stage II- The tumor has spread to lymph nodes that are contained within the surrounding lung. Stage IIIa- The tumor has spread to the lymph nodes outside of the lung, to those the tracheal area, including the chest wall and diaphragm on the same side as the cancer started. Stage IIIb- The tumor has spread to the lymph nodes on the opposite lung or in the neck. Surgery depends on the size and location of the tumour. Surgery is most commonly used for non-small cell cancers that are still small and have not spread. Surgery is not usually done for small cell lung cancer unless tumours are found at a very early stage, before the cancer has started to spread. Surgery for non–small cell lung cancer can be done in several ways. Wedge Resection(segmentectomy)- The surgeon removes a small wedge-shaped piece of lung that contains the lung cancer and a margin of healthy tissue around the cancer. This is likely to be done when your lung function would be decreased too much by removing a lobe of lung (lobectomy). The risk of lung cancer coming back (recurring) is higher with this method. Lobotomy- Lobectomy is the removal of one lobe of the lung. Your surgeon will recommend this type of operation if they think the cancer is just in one part of one lung. It is the most common type of operation for lung cancer. Bilobectomy is the removal of two lobes of the lung. 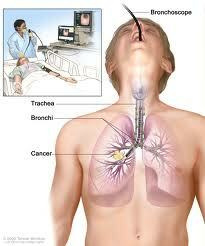 Pneumonectomy- A pneumonectomy (or pneumectomy) is a surgical procedure to remove a lung. The most common reason for a pneumonectomy is to remove tumourous tissue arising from lung cancer. The operation will reduce the respiratory capacity of the patient; before conducting a pneumonectomy, the surgeon will evaluate the ability of the patient to function after the lung tissue is removed. After the operation, patients are often given an incentive spirometer to help exercise their remaining lung and to improve breathing function. Removing Lymph Nodes- During your operation your surgeon will remove some of the lymph nodes from around the lung. This is because the lymph nodes may contain cancer cells that have broken away from the main cancer. The surgeon sends the lymph nodes to the laboratory where they are examined under a microscope. If the nodes contain cancer cells this may affect the treatment that you need after the surgery. Radiation Therapy for Lung Cancer-In external beam radiation therapy, a large machine is used to carefully aim a beam of radiation at the tumour. The radiation damages the cells in the path of the beam – normal cells as well as cancer cells. In brachytherapy, orinternal radiation therapy, radioactive material is placed directly into or near the tumour. Chemotherapy for Lung Cancer-Chemotherapy may be given as pills or by injection. Chemotherapy drugs interfere with the ability of cancer cells to grow and spread, but they also damage healthy cells. Healthy cells can recover over time. Targeted Therapies for Lung Cancer-Targeted therapies use drugs or other substances to block the growth and spread of cancer cells. These drugs are able to attack specific types of cancer cells. Targeted therapy is sometimes used to treat non–small cell lung cancer that has come back or that does not respond to chemotherapy. Photodynamic Therapy for Lung Cancer-Photodynamic therapy uses a special drug that starts to work when exposed to light. The drug is injected into your bloodstream and absorbed by the cancer cells. When exposed to a high-energy laser light, the drug becomes active and destroys the cancer cells. Photodynamic therapy can be used to treat some cases of early-stage lung cancer. It can also be used to help relieve symptoms of a blocked airway. Many people are frightened at the idea of having cancer treatments because of the side-effects that can occur. Although the treatments can cause side effects, these can usually be well-controlled with medicines. The potential benefits of treatment of Lung Cancer vary depending upon the individual situation and stage of Lung cancer. With the newer molecular targeted agents, similar or even greater symptomatic beneﬁts are observed. With both ﬁrst-line and second-line agents, there are palliative beneﬁts. Such chemotherapy improves quality of life. The treatment increases your body's natural ability to fight cancer. It does this by giving a boost to your immune system. Indian hospitals and physicians have saved lives by dramatically increasing five-year survival rates for all stages of lung cancer, which has become one of the leading causes of cancer deaths for both men and women across the world. Advanced research and study is taking place in most of the India hospitals that offers advanced lung-cancer patients free screenings of their tumors for genetic mutations, some of which might be targets for treatment with existing or experimental therapies. The Lung cancer team provides a range of radiation therapy options to treat all types of lung cancer. The welcoming, state-of-the-art cancer hospitals in India house the latest treatments and technologies where you can receive all of your treatment under one roof by an experienced medical team. The expert medical team in India consists of highly-skilled, compassionate doctors and other clinicians who work together to deliver a personalized treatment plan tailored to your needs. The hospitals in India provide aggressive cancer treatment, so you and your family can focus on healing. I am 50 years old and was diagnosed with lung cancer at the age of 45. I was informed that there are no chances of survival because the cancer had reached a higher state of infection. Luckily I was recommended to Forerunners Healthcare and I got connected with the doctors there. I discussed the case with a cancer specialist there and decided to go with the line of treatment the doctor offered. Was trembling, was worried, but the team there was so supportive and friendly that I have not enough words to say. The best part is that the surgery the specialist from the team did proved all the other doctors wrong who said I had no chances of survival. Today I am 70 years and still surviving and that too without cancer. Thank you so very much from the core of my heart the entire team at Forerunners. Having lung cancer might mean that you have to give up work or spend more money than usual on things like transport to appointments or extra prescriptions. This might make you worry about how you and your family are going to manage. For people without health insurance, prescription drugs can be too expensive in western countries. Often the cost of treatment of lung cancer deters people from getting the help they need. Indian has become a very popular destination for such patients. 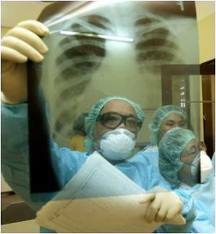 If you are looking for low cost Lung cancer surgery, India is the best option for all of them.